CartONG is changing the format of its GeOnG newsletter, and will be using MailChimp from now on! You are receiving this newsletter in English, if you would like to receive it in French in the future, please let us know here. 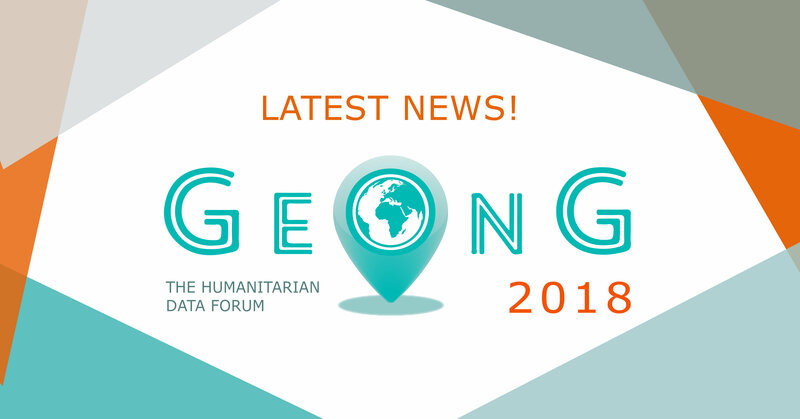 Registration for the 2018 GeOnG Forum is open! You can already buy your ticket for the next GeOnG on our website. Spread the word! Use the buttons below to spread the word by email and on social media. The 2018 GeOnG agenda is getting ready! You will find a full description of the overall schedule for the conference on our website. Here is a short overview of some of the subjects which will be debated during the GeOnG. - Management experiences from the latest emergency (Bangladesh). - Evaluations of Information Management projects. - What is, could and should be the place of donors in information management policies and practices? Presentations are planned on the MDC Toolkit, Open Layers, the MAMAPA & Maps from here & abroad projects, as well as the mapping work of IPIS, Urban population estimation with 3D data, and many more as part of the speedgeeking and lightning talks sessions. A Fail Fest will also be organised on Monday, October 29th. 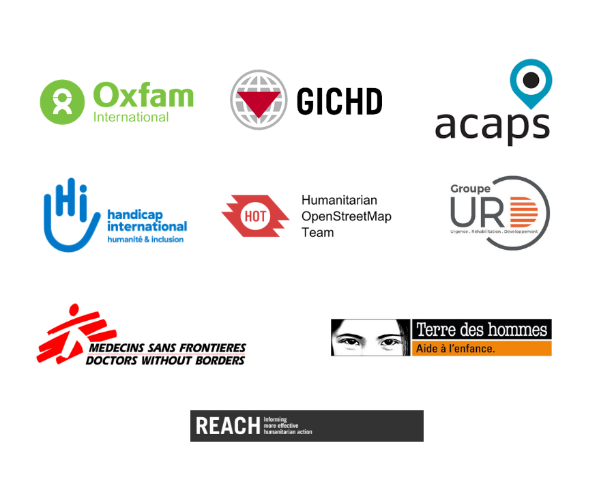 We would like to take this opportunity to thank all the humanitarian and development actors, technical experts, and researchers who have already agreed to join us and speak during the event. More information on the agenda page! - 17h30 - "Maps of the future" : CartONG invite you for a sensitive mapping session - a subjective and creative approach of mapping. The workshop will be led by CartONG and aims to question the participants about their understanding of sustainable development giving them the opportunity to express their vision of our future world through drawing. - 20h00 Conference-debate "Interwoven stories on measuring progress towards the sustainable development goals": a panel of experts will debate and share their experience about measuring progress towards the sustainable development goals, focusing on the ODD 6 “Clean water and sanitation”. The French Development Agency, Coalition Eau & Programme Solidarité Eau have already confirmed their participation. Lars Peter Nissen, Director of ACAPS & Sonia Karkare, GeoMSF Program Manager will conduct a stand-up debate during the plenary session on the main theme of the Conference: 'Perfection' versus 'Good enough' in Information Management, Adjusting to context, scale, phase & funding. Laura Walker McDonald, Director of Innovation at GAHI, will launch the second day by a short introduction on the subject of scaling up humanitarian tools. AFD representatives will be present during the plenary session, during a workshop on the implementation of GeoPoppy in Ivory Coast and you can also meet them at their booth. You are invited to take part in the event organised by AFD on Day 1 of the conference, and to the conference on the measure of SDGs where they will be present. More information to come. During the GeOnG, ESRI will conduct an interactive workshop. You can also meet them at their booth. More information to come. As part of the GeOnG, Novel-T will lead a speedgeeking. You can also meet them at their stand during the conference. More information to come. During the GeOnG, Gnucoop will conduct a workshop on the DEWCO tool as well as a speedgeeking. You will also be able to meet with them at their booth. More information to come. Geodesk is an independent insurance broker with more than 25 years experience insuring NGOs and SIOs to any country in the world, whatever the mission or the risk involved. Geodesk puts in place tailor-made solutions adapted to each organization as well as additional security and/or medical assistance specific to needs in highly sensitive areas. We would like to thank Geodesk for its support and for allowing CartONG to invite a member of the Kathmandu Living Labs to the GeOnG to host a workshop on “Maps for and with beneficiaires”. We also thank our Silver partners: CamptoCamp, Magellium, Mapbox and RSM, as well as the City of Chambéry. CartONG is still actively looking for sponsors for the 2018 GeOnG Forum, in particular to finance the flights of a few more speakers based abroad. If you are interested in supporting the conference, please have a look at our sponsorship brochure, and contact Nina et Mathilde. The 2018 GeOnG Forum needs the support of CartONG’s volunteers! If you’re interested in attending and helping out, please refer to the email from Claire sent out early September, or contact her directly. In order to prepare serenely for the conference, we invite you to join us for a Get-Together on October 26th & 27th - right before the GeOnG. If you’ve already made up your mind and would like to volunteer, please fill out this form to register to the Get-Together, and this one to get your free-of-charge ticket to the GeOnG.